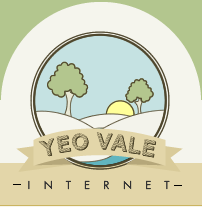 App Any Website is a Service provided by APPPPR.COM on behalf of Yeo Vale Internet Ltd, a company registered in England #05372918 (the Supplier). By completing the online registration process provided on the APPPPR.COM website, you (the Customer) agree to accept these Terms & Conditions. The Supplier provides the Service to the Customer in accordance with the description provided on this website, which may change from time to time without notice. The Supplier will do its best to ensure that the Service is operational at all times, but does not give any specific guarantee or warranty of continued availability, nor does the Supplier take responsibility for the consequences of any failure or malfunction of the Service. The Supplier agrees that in the event of an error being reported, it will take whatever action it believes necessary to rectify the problem and restore the Service as quickly as reasonably possible. The Supplier acts only as an intermediary service provider and is not responsible for the actions of either the Customer or the Customer's own users of the Service. This Agreement may be cancelled by the Customer or by the Supplier on giving at least one month's notice of termination to the other in writing. This notice may be made by email, provided an acknowledgement has been given of its receipt. Any matter of dispute or interpretation shall be dealt with solely in accordance with UK laws and customs. In the event of any claim made by the Customer against the Supplier, the amount claimed (including costs) shall not exceed the amount paid by the Customer for the Service. This constitutes the entire Agreement between the Supplier and the Customer.